Critical Hit Show Even more popular than the Pox & Fiddle Tavern! 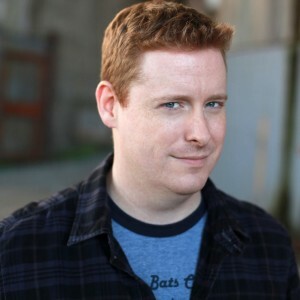 A veteran of the world-renowned Vancouver TheatreSports League and co-creator of The Justice Pals Improv Group, Eric performs hundreds of improvised comedy shows each year. He has contributed several pieces to CBC Radio’s Definitely Not the Opera and co-created the critically acclaimed adventure spoof “Raiders of the Lost Improv,” which enjoyed a three-month run at the New Revue Stage in Vancouver. His other comedy formats, including “25 in 20,” “What The,” and “Doctor Hell’s House of Bloody Terrors” have played at some of Vancouver’s finest comedy venues. Eric’s many festival appearances include The Vancouver Comedy Festival, The Vancouver Improv Festival, the Vancouver Poetry Festival, and the Olio Festival. Eric has an impressive collection of Tiki Mugs and 1970s Star Wars action figures. Will you be doing another horrible movie commentary thingy? Any chance it can start earlier next time? We had a fantastic time doing the show! Hopefully we’ll get to do it again very soon.